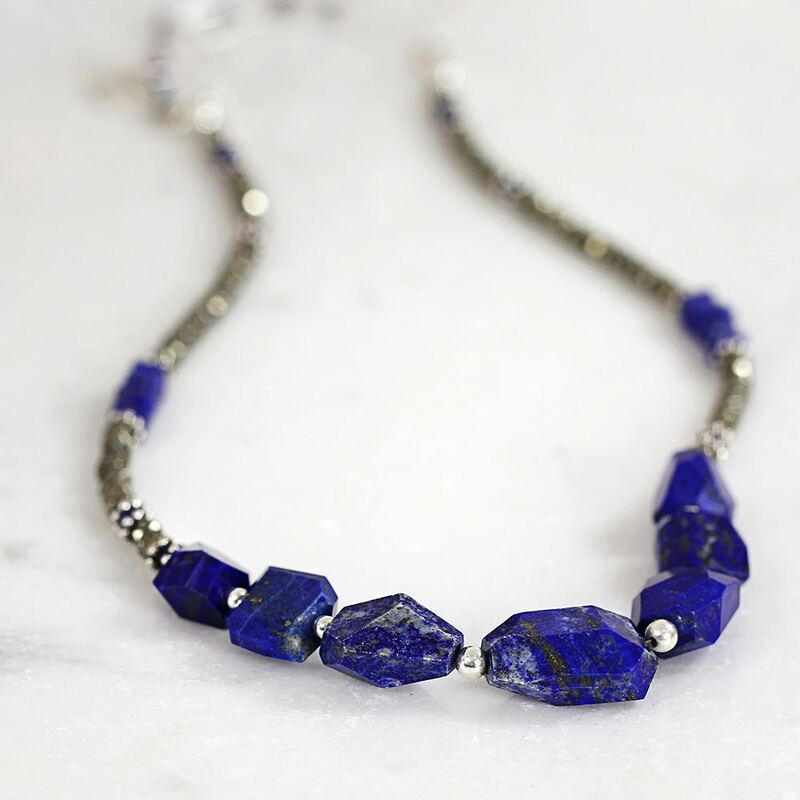 This chunky Lapis Lazuli necklace makes a great statement and will bring a bold , colourful and confident style. 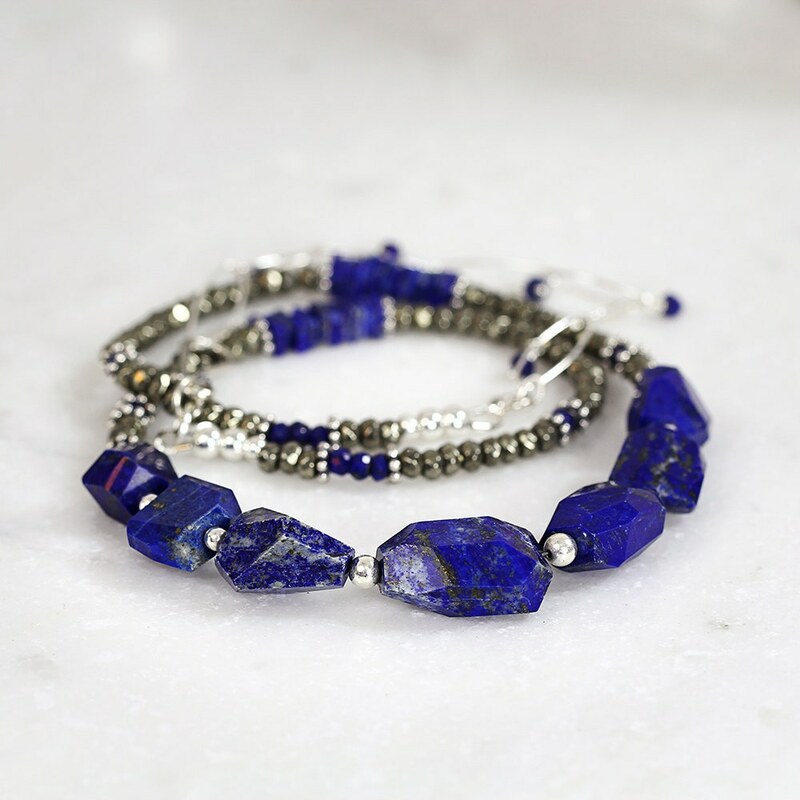 Featuring gorgeous, natural chunks of fantastic quality lapis lazuli. These wonderful stones are a rich deep blue and display sparkling inclusions of pyrite that look like gold dust. Perfectly paired with pyrite stone beads and sterling silver accents, the overall effect is striking, bold and modern. Adjustable in length between approx 18 and 22 inches via a sterling silver chain and closes with a hook clasp. 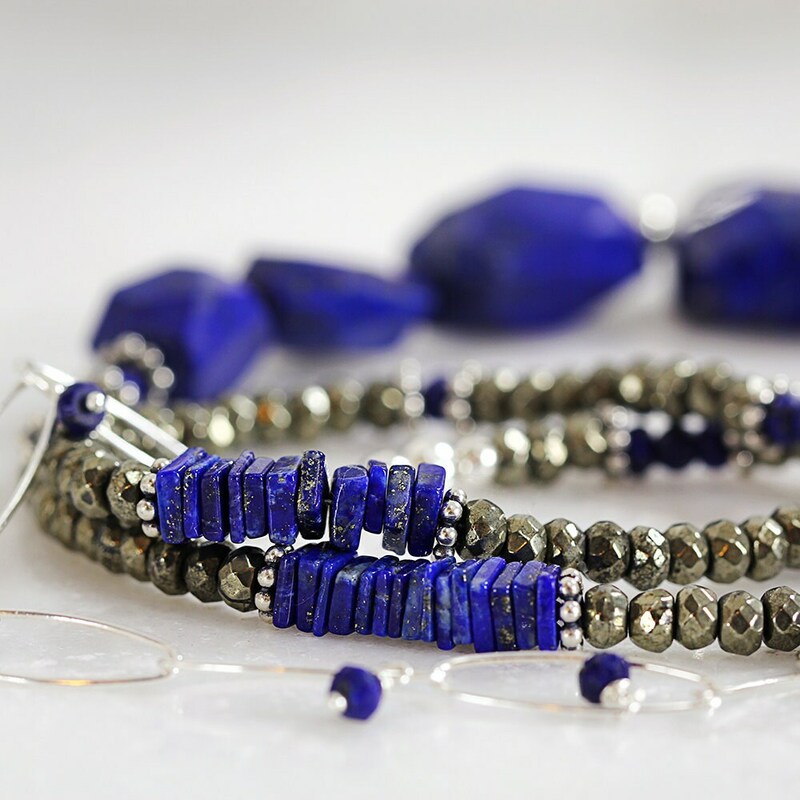 Little lapis beads dangle and dance along the length of the extender chain. 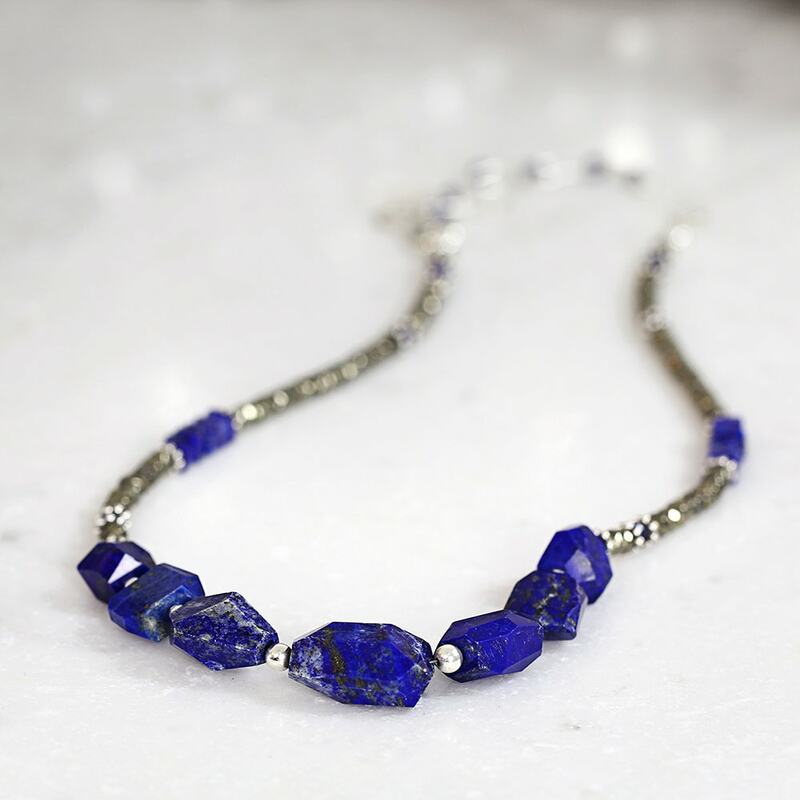 Worn alone or layered with others, this lapis lazuli necklace will bring you style and statement. It also looks amazing worn around the wrist as a wrap bracelet, and can be easily adjusted to fit due to the long extender chain. It makes a gorgeous gift for a loved one - for mum, sister, girlfriend, wife or a friend - for any occasion such as a birthday, a graduation, an anniversary, Christmas or Valentines Day gift. * Adjustable length between approx 18 inches | 45.5 cm and 22 inches | 56.5 cm. 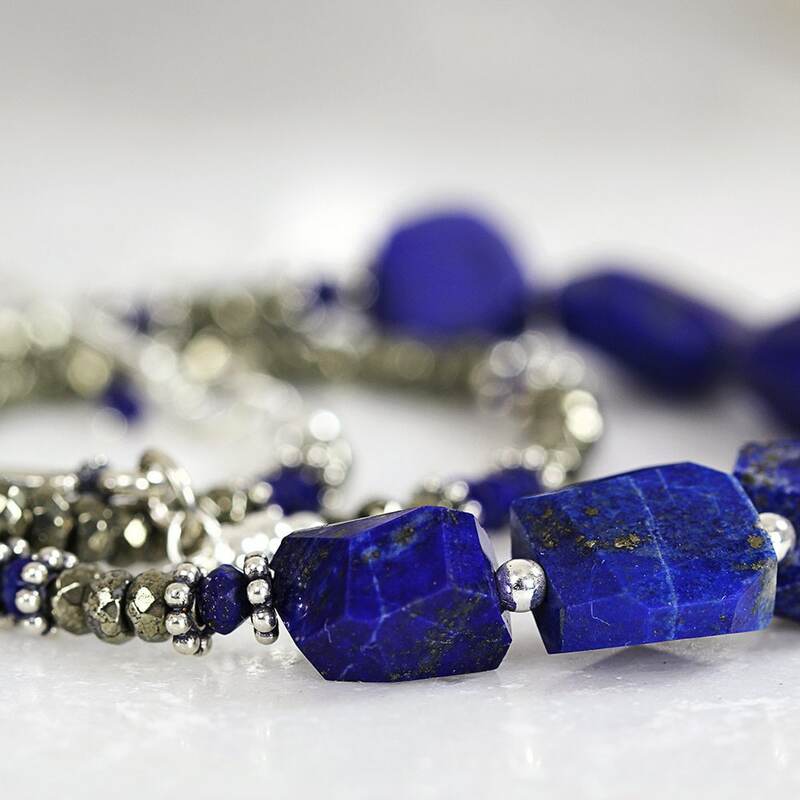 * Lapis stone chunks are graduated in size, from approx 15mm up to 20mm..
* Pyrite stones measure approx 4mm. Very nice stones. This is a lovely, unique piece I will enjoy very much! Thank you!